New roofs are a costly investment and going with the lowest bid could end up costing you much more in the end. Home improvement is expensive — from yearly and routine maintenance to fixing and making repairs inside your home and out (including a new roof installation) — which is why we often look for a cost-effective way of solving these inconveniences. We don’t want to shell out more of our hard-earned money when we could be getting the exact same product or service at a lower price? But really, is the low-cost worth it in the end? Low-bids in the roofing industry doesn’t function in the same way bargins do in other areas. At Advantex Restoration, we craft and specialize in roof repairs and new metal roof installations that come with high-quality materials and highly skilled roofers. Join us in today’s post as we examine why a low-bid on a roofing project isn’t always the most advantageous avenue for you, or your wallet! Choosing a roofing bid that is cost-effective and one that works within your budget is important, and more than anyone, we at Advantex Roofing understand the value of a fairly priced roofing quote, which is why it is crucial to discuss the reasons it may not always be in your best interest to go with the lowest bid. The roofing craftsmanship may suffer. Roofing contractors oftentimes can make honest mistakes and roofing bids and quotes can be off, but a great roofing company will quickly realize these mistakes and work with you to amend the situation. The achievement of a roofing project comes from how it is crafted — from all of the panels, components, accessories, labor, and materials — every piece plays a part. When a contractor gave you a low-bid, they are likely racing the clock trying to get the project finished as fast as they can, and as a result, are doing shoddy work and using low-quality materials. The roofing contractor ignores a non-engineered system (metal roofs). One of the most glaring issues you may run into is a low-bid from a roofing company that doesn’t implement an engineered roofing system. A non-engineered system is much less expensive than their counterpart. Engineered metal roofing systems are not only tested by a third-party, but they also must adhere to strict roofing industry standards. We often see engineered roofing systems on commercial buildings, but always inquire with the roofer and check to see if it’s an option. The roofing specialist is having a difficult time working within your budget. If you’ve done any research before looking into a local roofing company to complete work, you’ll likely have an idea of what you’ll need and a budget to work within. Before you accept any bids, ensure that contractors can meet you somewhere in the middle so you’re not in a compromised financial situation leaving you only the alternative of accepting a low-bid. Most roofing contractors are willing to work with you and find an option that makes sense for both parties. Something to watch out for is a roofing company that wants to discuss a price before anything else. They will likely ask you about your budget and then low-bid the project by thousands of dollars and be more apt to using low-quality materials and rush through the project. The roofing company is new or a small operation. We know that not all small or new roofing companies are bad and, in fact, most operate with a core staff and have a lot of skill and knowledge to bring to the table, however, these two factors can impact the overall quality of your new roof. Experience – It’s true, you have to start somewhere, but sometimes inexperience can get you unfavorable results. It never hurts to ask about their experience or previous roofing projects to get a better understanding of what you’re getting into. Size – When you’re small there is much less room for error (which favors great roofing companies) but it can also create scenarios where small businesses that are receiving many bad reviews can simply close under one name and open up under a new one. Ask simple questions such as why is your business small, have you ever operated under another name, or are you offering any warranties with your services? Again, most roofing companies do great work and have wonderful people, it is a handful that exploits the roofing industry. Low-bids don’t always signify low-quality work, but oftentimes they can raise some major red flags. 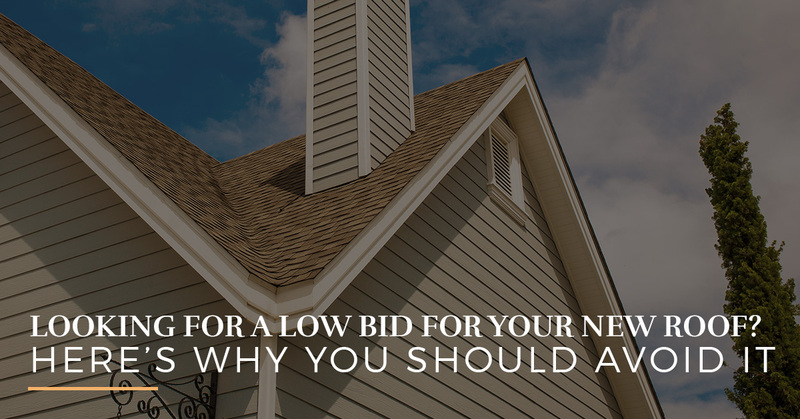 It’s important to know what to look for and understand why low-bids can end up costing you in the end — the roofing work will likely have to be redone! 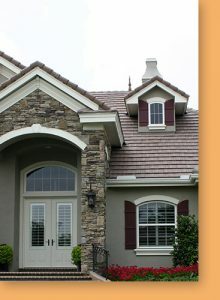 To take advantage of the leading roofing company in Oswego, connect with us today.